Bill is a longtime volunteer with Poudre Landmarks Foundation. You will find him giving tours through the 1883 Water Works facility whenever it is open. 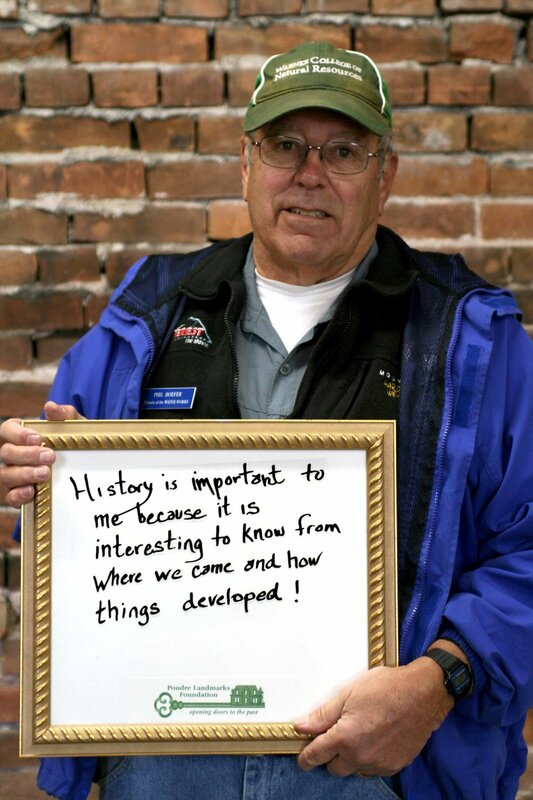 He believes local history matters because "it reminds us of how our city began." Phil is another dedicated volunteer with Poudre Landmarks at the 1883 Water Works. He says "history is important to me because it is interesting to know where we came from and how things developed!" Are you passionate about local history? Want to be part of our campaign about why local history matters? Share with us! Fill out the form on our website or tag us on social media. You just might see your post featured on our page! Why does local history matter to you?